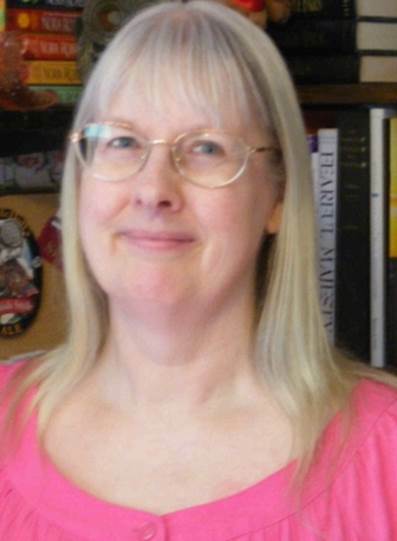 Kaitlyn Dunnett is the pseudonym I use on my contemporary mysteries because I am better known under my own name (Kathy Lynn Emerson) for historical mysteries, nonfiction, and historical romances. I used a pseudonym once before, for three contemporary category romances I wrote for Silhouette. That name was Kaitlyn (the name I'd have given myself rather than Kathy Lynn) Gorton (my maiden name). I didn't want to use the same pseudonym again, since these new books are mysteries, not romances, so I kept the Kaitlyn and borrowed the surname of one of my favorite authors, Dorothy Dunnett. I was hoping to reduce confusion by using different names for my contemporary and my historical mysteries, but opinion is mixed on whether this was a good idea or not. Just to make things more complicated, I have also used yet another pseudonym, Kate Emerson, to write non-mystery historical novels set in the Tudor era. And now let me introduce you to the inspiration for the real star of the Liss MacCrimmon Mystery Series, "Lumpkin" the cat. Although described in the books as "a big yellow tom," in reality he was buff-colored. 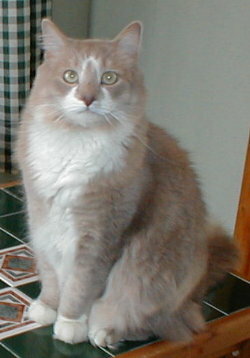 Lumpkin has his own web page Just click here to see more.